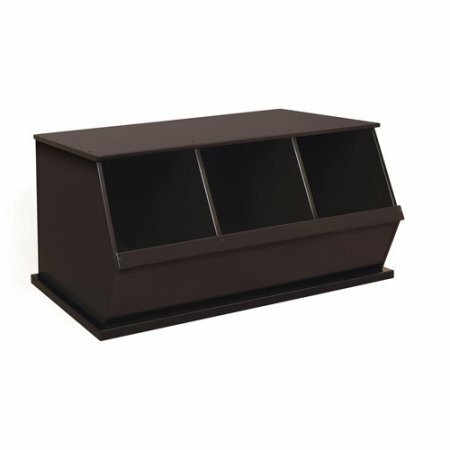 Stackable Three-Bin Storage Cubby, Multiple Colors, Children's Storage Organizer, Playroom Set, Kid's Furniture, Three-Bin Design, Cubby Wooden Storage Space, Toy Chest, BONUS e-book (Espresso) by Best Care LLC at Indsight. Hurry! Limited time offer. Offer valid only while supplies last.